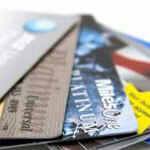 The following are some of the best credit cards currently available. These cards are characterized by low or no annual fee, good reward program, excellent 0% balance transfer program, and some even offers great bonus for new cardmembers. You can immediately apply for these cards online by clicking on the name, the card image, or the Apply Now button. Please be sure to review all information carefully before applying for the card. Note: You can also use the selection tool at the top of the table to help you find the best card for you.